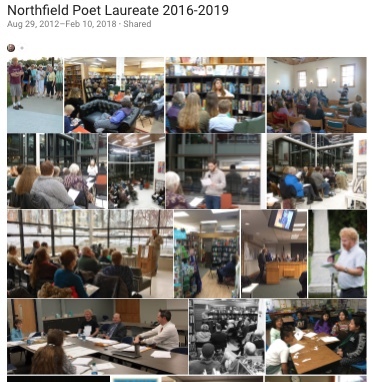 The Northfield Poet Laureate is sponsored by the City of Northfield and funded by the Northfield Public Library and the Southeastern Minnesota Arts Council (SEMAC), in partnership with the Northfield Arts and Culture Commission. Applications are now being accepted for the position of Northfield Poet Laureate. The successful applicant will be appointed to a three-year term (2020-2022).Applications will be accepted through Friday, May 31. Interviews will take place in either June or August. The new Poet Laureate will be officially announced at the Northfield Poetry Festival in September. For more information on the position of Poet Laureate, and instructions on how to apply, see the document here. Applicants must be Northfield residents. 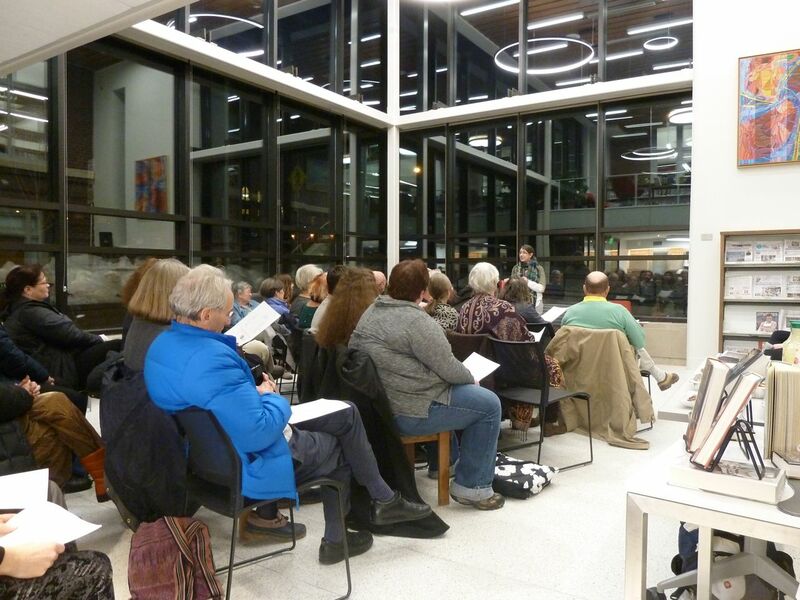 Poetry Night is held each month at either the Northfield Public Library or Content Bookstore in Northfield. Poetry Nights start at 7pm. There are no Poetry Nights in the summer months (June-September). September 13: Kai Carlson-Wee (Content). September 29-October 1: Northfield Poetry Festival (featuring Minnesota Poet Laureate Joyce Sutphen). October 1: Bao Phi (Content). October 11: Nicole Borg (Northfield Public Library). November 15: Michael Kleber-Diggs (Northfield Public Library). December: Mary Moore Easter and Lisa Dordal (Content). January: Faribault Poets Larry Gavin, Audrey Helbling, John Reinhard, Peter Allen, and Kristen Twitchell. February 2019: Christopher Bakken. March: Emily Oliver & Danny Caine. April: Justin Watkins; Great Lakes Poets Laureate on Social Justice (Sheila Packa, Ken McCullough, Jim Armstrong, Emilio DeGrazia, and Rob Hardy); and Jimmy Santiago Baca. May: Daniel Dietrich & Anders Carlson-Wee. June: Steven Schild. 2017-2018. October 5, 2017: Leila Chatti (Northfield Public Library). November 2, 2017: Anders Carlson-Wee (Content Bookstore). December 2017: no reading (Winter Walk). February 15: "Civic Poetics" Festival at Carleton: Heid Erdrich, Matt Rasmussen, Anders Carlson-Wee, Gretchen Marquette, Michael Torres, Sun Yung Shin. March 29: Jim Lenfestey (Content). April 5: Andrea Een (poetry and hardanger fiddle at Northfield Public Library). April 23: Rachel Moritz (Content). April 30: Jennifer Kwon Dobbs (Content). May 7: Danez Smith (Northfield Public Library). May 21: Leslie Schultz (Northfield Public Library). May 31: Mary Moore Easter (Content). 2016-2017. Freya Manfred (October 2016). Greg Hewett (November 2016). Ken McCullough (December 2016). Richard Broderick (January 2017). Kathleen Roberts (February 2017). Youth Poetry Night: Anna Kochever, Bella Callery, Alondra Pérez, Hannah Pahs (March 2017). Riki Kölbl Nelson and Karen Herseth Wee (April 13, 2017). 2015-2016. Lost Poems of Neruda: a bilingual reading by Cecilia Cornejo and Fritz Bogott (June 2016). Leslie Schultz (May 2016). Kaethe Schwehn (April 2016). Youth Poetry Night: Alondra Pérez, Chris Lazaro, Bella Callery, Anna Kochever (March 2016). Greg Hewett and students (February 2016). Susan Jaret McKinstry (January 2016). D.E. Green (December 2015). Diane LeBlanc (November 2015). Brenda Hellen and Rob Hardy (October 2015). 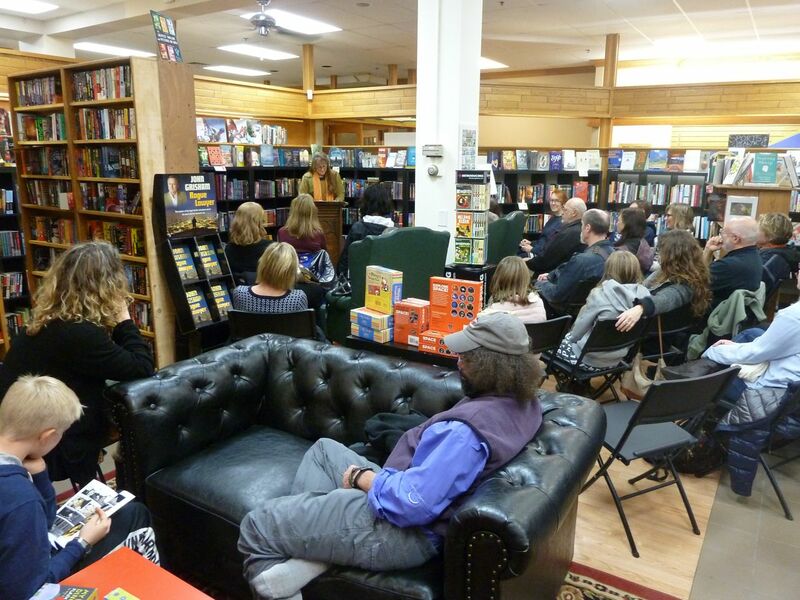 Writers Night is an occasional series of juried readings featuring authors from Northfield and the surrounding area. Writers are invited to submit work—up to 3 poems (no more than 3 pages) or up to 750 words of prose—for selection by a blind judging process. Writers whose work is selected are invited to read at the public Writers Night event. Selections from each Writers Night are included in a downloadable (.pdf) journal. From 2004 to 2007, Writers Night and the Writers Night journal were sponsored by the Northfield Arts Guild.